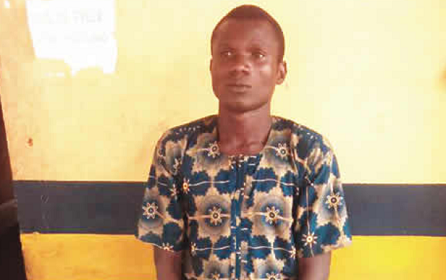 The Ogun State Police Command says it has arrested one Andrew Koku, a resident of Ayedere in the Obada area of Abeokuta, for allegedly killing his six-month-old baby, Precious Koku. A police report indicated that the suspect was arrested following a complaint from the mother of the baby, Omowumi Teleda. The state Police Public Relations Officer, Abimbola Oyeyemi, said Precious’ mother explained further that the baby was hale and hearty when she left home, adding that she was surprised that the baby had died when she returned.